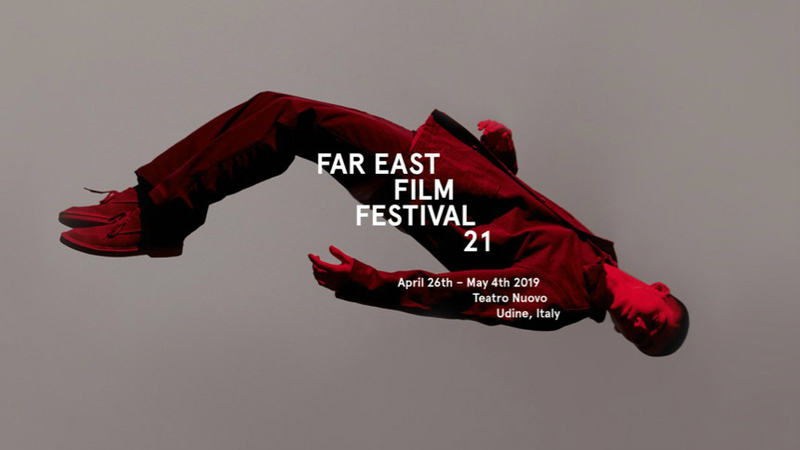 The Far East Film Festival has revealed the full lineup for its 21st edition, which will take place in Udine, Italy from 26 April - 4 May 2019. The packed roster of 76 films from 12 different countries includes 3 world premieres, 12 international premieres and 18 European premieres. 51 of the films screening will do so in competition, including 14 films from first-time filmmakers. Guests of honour at the festival include Hong Kong legend Anthony Wong Chau Sang and Chinese diva Yao Chen. Making their worldwide debut at the festival are Nadiah Hamzah’s Malaysian cop thriller Motif, Syoutarou Kobayashi’s matrimonial drama Only the Cat Knows, and Mirai Konishi’s documentary Kampai! Sake Sisters. And they are in incredibly good company. Among this year’s competition titles are Chinese box office hits Dying to Survive and A Cool Fish, Hong Kong actioners Master Z: The Ip Man Legacy, Project Gutenberg, HKIFF opener Bodies at Rest, as well as Oliver Chan’s excellent debut Still Human. Indonesian martial arts extravaganza 212 Warrior play alongside Zahir Omar’s cracking malaysian thriller Fly by Night, Mikhail Red’s Philippine horror hit Eerie, and Taiwanese thriller The Scoundrels. Meanwhile, Japanese cinema will be descending on Italy in force, with highlights including Sabu’s Jam, Shunji Mugurama’s JK Rock, and Nobuhiro Yamashita’s HARD-CORE, to name just a few. South Korea is insanely well represented this year. Competition titles include opening night drama Birthday, Drug War remake Believer, Lee Byoung-heon’s hugely entertaining Extreme Job, fittingly titled war epic The Great Battle, period zombie thriller Rampant, and issue-based courtroom drama Innocent Witness. Celebrating 100 years of Korean Cinema, a special retrospective includes a feast of restored classics ripe for rediscovery, including Lee Man-hee’s Black Hair, Lee Doo-yong’s The Last Witness, and Im Kwon-taek’s Jagko. "The Odd Couples" sidebar highlights a pair of wildly different films, and the remakes they inspired - all with a little Hong Kong flavour. Ringo Lam’s City on Fire will be screened, as a fitting memorial to the recently departed director, alongside Quentin Tarantino’s Reservoir Dogs, which it hugely influenced. Similarly, Richard Quine’s big screen adaptation of the classic Hong Kong romance novel The World of Suzie Wong will play, accompanied by Angie Chen’s cheekily inspired My Name Ain’t Suzie, featuring the first ever screen performance by Anthony Wong. Brand new restorations of King Hu, Li Hsing, and Pai Ching-jui’s romantic triptych The Wheel of Life, and Ishmael Bernal’s Philippine drama A Speck in the Water will also be screened. But this is just the tip of the iceberg. To check out the full lineup, head over to the official FEFF website. Do you feel this content is inappropriate or infringes upon your rights? Click here to report it, or see our DMCA policy. All content © 2004-2019 ScreenAnarchy LLC.